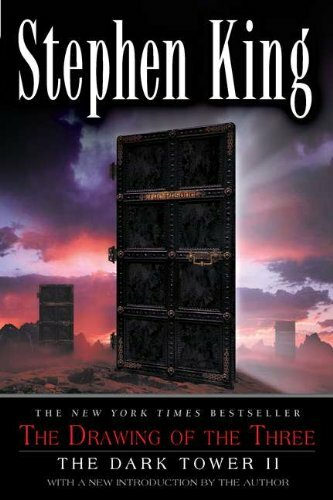 The second volume in Stephen King's acclaimed, epic Dark Tower series. After his confrontation with the man in black at the end of The Gunslinger, Roland awakes to find three doors on the beach of Mid-World's Western Sea-each leading to New York City but at three different moments in time. Through these doors, Roland must "draw" three figures crucial to his quest for the Dark Tower. In 1987, he finds Eddie Dean, The Prisoner, a heroin addict. In 1964, he meets Odetta Holmes, the Lady of Shadows, a young African-American heiress who lost her lower legs in a subway accident and gained a second personality that rages within her. And in 1977, he encounters Jack mort, Death, a pusher responsible for cruelties beyond imagining. Has Roland found new companions to form the "Ka-tet" of his quest? Or has he unleashed something else entirely? The stunning Plume edition features full-color illustrations by Phil Hale and is a collector's item for years to come. 5/30/2010 Ben Fichter said: I was just as swept away in this book as the first one.